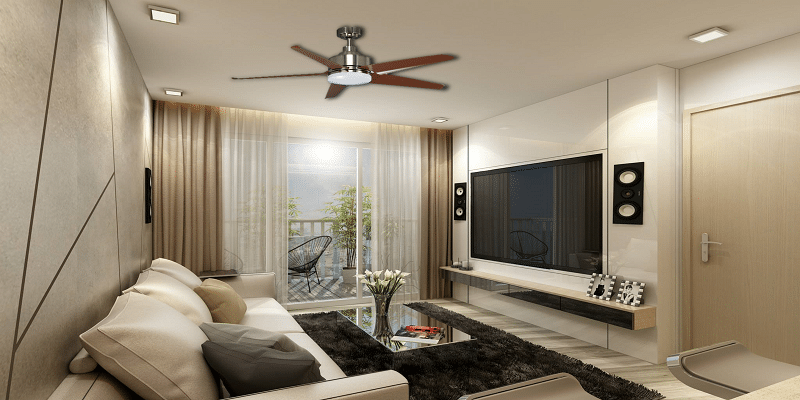 While most people are only acquainted with a specific genre of ceiling fan – mostly one that is regularly used in a specific region – it is important to know that there are choices now, in this category. South eastern countries usually make use of the three blade fan as it is faster and works on the principle of convection. It also has more maximum, minimum and neutral speed settings, but does come with the drawback of more noise. The four blade fan is a top tier counterpart of the five blade ceiling fan. The anatomy of a ceiling fan quite alters when you add or subtract any basic part of its physiology. Adding another wing to the three blade fan can be both an efficient and redundant aspect. While it can work in the reverse fashion that way, the added weight of another wing can slow the speed. When it comes to the five blade ceiling fan, of course there is a difference in the metaphorical physiology. The rotors may look unseemly to some, while comely to others. So in the end, it is all a part of aesthetics, much more than functionality. The five blade ceiling fan has the unfound setback of being heavier than both the three blade and four blade fans. As such, it is slower in functionality and can seem a bit over the top when it comes down to defining aesthetics. Its overly large physique has to be carefully integrated into interiors and isn’t as delicate or intricate as its three and four blade counterparts. A major aspect of ceiling fans with more than three rotors is that they become relatively soundless in operation. That is largely because the number of wings is directly proportional with the amount of sound a fan can produce at any given moment. The added wings in the five blade ceiling fan do however hinder its speed. 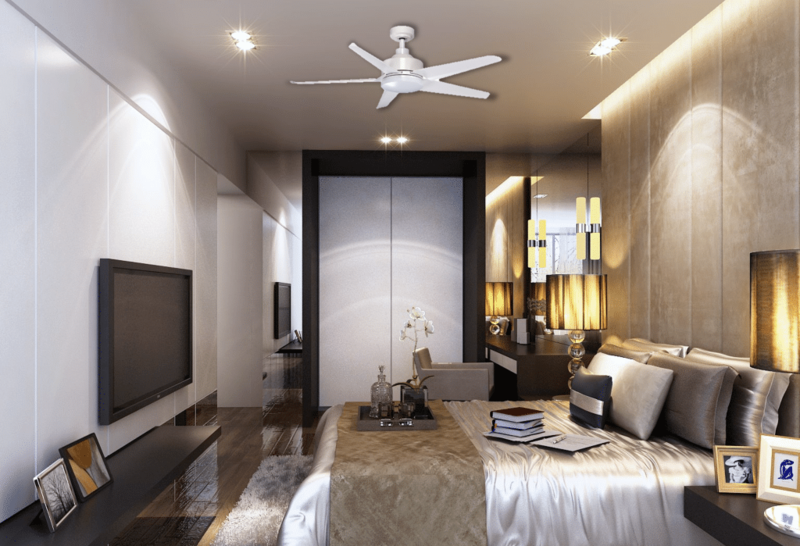 The additional wing in the four blade fan makes it slower than the three blade, and the additional blade in a five blade ceiling fan makes it slower than even the four blade one. An added rotor can also lead to lesser air circulation too. A five blade ceiling fan has a heavier physique, but it does give off a symmetrical look, which can be a considered a pro in some cases. All designers strive for a well-balanced look in interiors, and using having a symmetrically proficient aesthetic would definitely be considered the perfect balance. 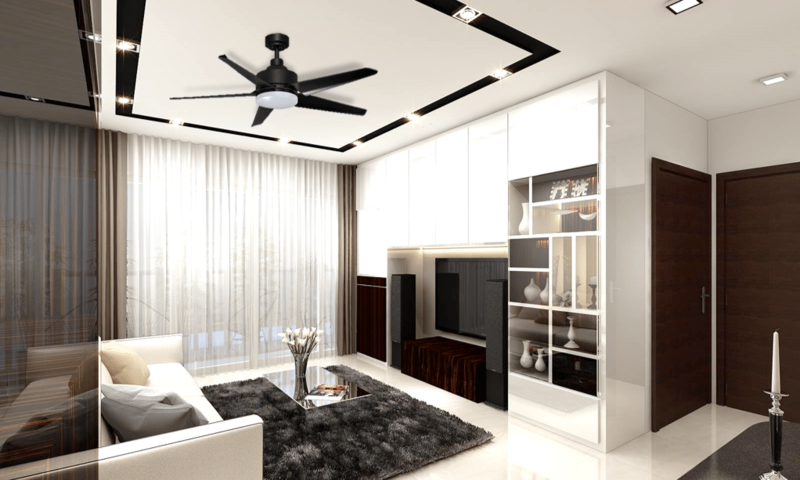 The change between a four and five blade ceiling fan is quite minuscule at best when it comes to functionality, but can definitely alter in aesthetics, so choose wisely.